Our Russia river cruise is a trip to that you have dreamt of all your life. It is our most popular destination with first time and experienced travelers alike. In addition to the several days of exploration and sightseeing the magnificent imperial Russian cities of Moscow and St. Petersburg, your itinerary will include picturesque and ancient Volga River cities of the "Golden Ring" and mysterious Kizhi Island. 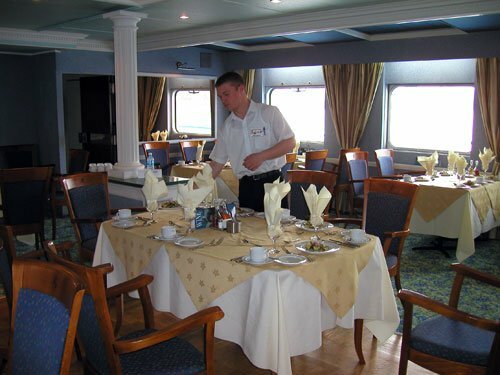 You may choose from 2 different ships, the MS Chekhov or the MS Anabella and either 11 or 10 Day itinerary. Accommodations in all outside cabins, each with private bathroom facilities, individual temperature control and large picture window. Promotion applies only for new bookings based on DBL room. Book by Jan. 31, 2016 travel through Oct. 2016.